We’ve always felt that visiting green spaces like parks and forests reduces our stress and makes us feel more creative, but now an innovative study from Scotland indicates that you really can ease brain fatigue by strolling through a calming natural space. An experiment using volunteers hooked to lightweight, portable electroencephalograms—devices that measure brain wave patterns—confirms that even a short walk in the park lessens brain fatigue. But what if you don’t live in soggy western Washington? That’s why we encourage well-planned and tended trees in urban spaces and other communities. And that’s also why we celebrate Arbor Day all month-long in April. Citizens, governments, educators, organizations and others are working to make greener spaces through trees. For those of you who want to read about the scientific methods and conclusions of the researchers in Scotland, here’s a link to an abstract of their study (‘The urban brain: analysing outdoor physical activity with mobile EEG‘) published last month in the British Journal of Sports Medicine. For the rest of us, this New York Times blog about the study breaks it down into plan talk; namely, take a walk. Find out if your city is one of the 83 in Washington designated as a Tree City USA–-a national recognition for the cities and towns that go the extra mile to manage and care for healthy urban forests. 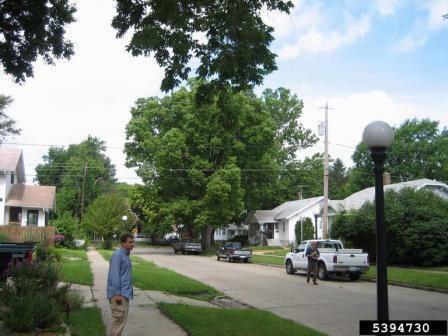 DNR assists local governments that want to improve the health of their urban forests. This spring, our Urban and Community Forestry Program has provided crews from Washington Conservation Corps (WCC) and Puget SoundCorps to help several city and county governments restore urban forests.